This year's bubble is a soft one, but that means plenty of teams are vying for the coveted NCAA tournament spots. Here is everything you should know about each candidate. Consider SI.com your one-stop shop for all things bracket and bubble during championship week. We will be updating our field of 68 and Bubble Watch every day from now through Selection Sunday. 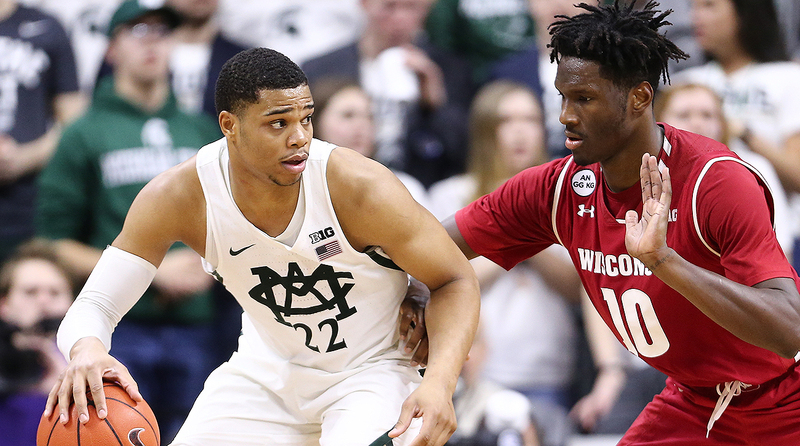 The Bracket Watch will focus on games with major seeding implications for teams assured of a trip to the dance, while the Bubble Watch will look at all the games that day with implications at the backend of the field. It’s the most wonderful time of the year for a college basketball fan. Celebrate right here with us. There’s no way around this reality for the Illini: If they lose to Michigan on Wednesday, they will not be in the tournament. Unfortunately for them, the exact opposite is not true. A win will not lock them into the dance, but it will at least make an at-large bid a possibility. The winner of this game takes on Purdue in the Big Ten quarterfinals, and an upset for Illinois in that game would make their case a lot more interesting. First things first, however. These teams split their regular season meetings, with both protecting home court. A loss would push Michigan toward the bubble, but wouldn’t land them on it. The Wolverines are safely in the field of 68. 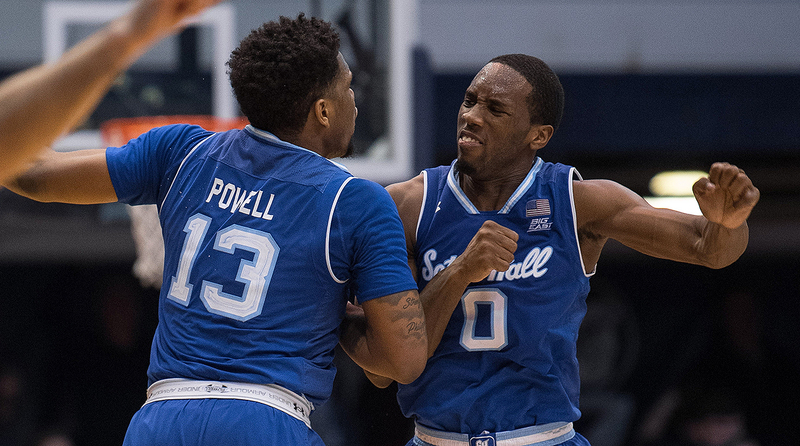 Seton Hall played its way into the field and just in front of the bubble in our updated Bracket Watch thanks to a strong February in which it beat Providence, Creighton, Xavier and Butler, the last of which came on the road. Butler beat teams like Villanova and Cincinnati at home this year, so the effect of Seton Hall’s win in Indianapolis cannot be overstated. The bet here is that the Pirates will go dancing even if they lose to Marquette on Thursday, but they would certainly remove any doubt with a win. Vanderbilt isn’t cinching its at-large bid by beating Texas A&M, but a loss would preclude them from moving on and getting the win, or wins, they need to be the first 15-loss at-large team in tournament history. The Commodores surged back into the tournament picture by going 9-4 in their last 13 games, with two wins over Florida, and individual victories against Iowa State, Arkansas and South Carolina in that stretch. Should they beat the Aggies on Wednesday, they will meet Florida for a third time. That matchup could very well determine the Commodores’ postseason fate. Remember that they get a boost, with the SEC tournament hosted in Nashville. Xavier took care of business on Wednesday, handling DePaul in its first game in the Big East tournament. That did nothing to strengthen the reeling Musketeers’ at-large hopes. In fact, the last time they beat a team not named DePaul was the day before the Super Bowl. Now, to be fair to the Musketeers, before Edmond Sumner’s season-ending injury, they were easily on track for an at-large bid, and they still own three top-50 wins, an 8-11 record against the top 100, and one sub-100 loss. The committee will also note that two of their losses during a disastrous six-game losing streak also come without Trevon Bluiett, and that, despite the downturn, they’re still ranked 32nd in RPI. Still, the only way Xavier will have a tension-free Selection Sunday is by beating Butler on Thursday. Kansas State is in essentially the same spot as Xavier. The Wildcats have three top-50 wins, though all three pack a punch. The Wildcats won at Baylor and Oklahoma State, and beat West Virginia at home. They’re just 5-10 against the top 100 however, and have two sub-100 losses. A win over Baylor would likely remove any doubt surrounding their at-large candidacy. A loss, while expected, could have them on the outside of the tournament field. 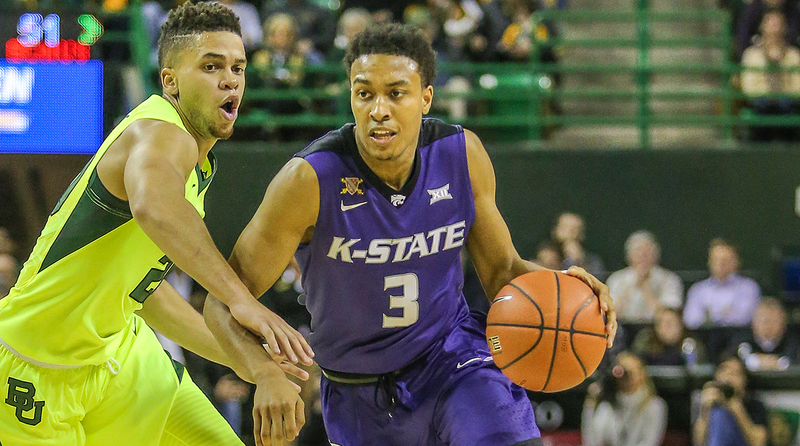 For what it’s worth, Kansas State is one of the last four teams in our field heading into Thursday’s action. The AAC is off the bubble. With Houston’s 65–47 loss at Cincinnati on Thursday, the conference no longer has any teams capable of earning one of the final spots in the field. Cincinnati and SMU are both capable of making a deep run in the dance, but it will be up to them to represent the conference. After months of missing out on the big win, Wake Forest finished the regular season in grand fashion. The Demon Deacons kicked it off by beating Louisville, and capped it with a win at Virginia Tech. Wake had proved for most of the season that it belonged in the tournament, but it just couldn’t get over the hump with any regularity against tournament-quality competition. 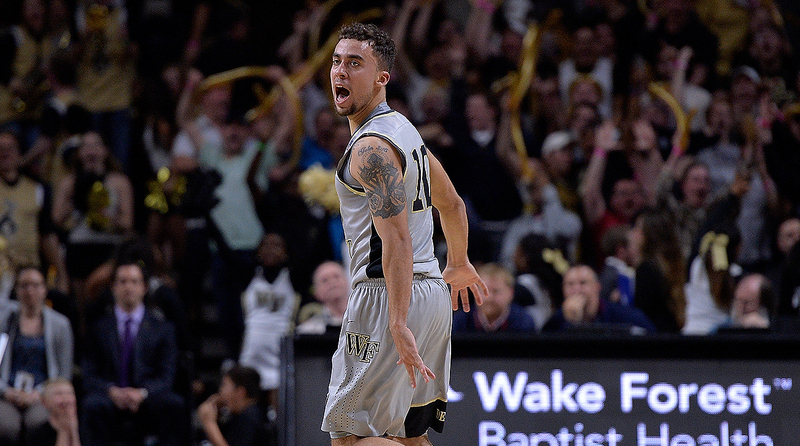 The wins the Demon Deacons notched in the final week of the regular season finally put it on the inside track to an at-large bid. It likely doesn’t matter that they lost to Virginia Tech in the ACC second round, though a win in that game would have removed any doubt. Selection Sunday won’t be a carefree day for the Demon Deacons, but the bet here is they will hear their name called. It’s wait-and-see time for Syracuse. The Orange lost to Miami in the ACC tournament opener, sending them into the weekend firmly on the bubble. All we know for certain is that the Orange will be one of the last teams in the field, or one of the first teams left out. They finish the season 3-4 against the RPI top 25, 6-8 against the top 50, and 8-10 across the top 100. While the three top-25 wins and six top-50 wins stand out, the Orange also suffered three terrible losses to Boston College, Connecticut and St. John’s. What’s more, the Orange did all their damage at home, going 2-11 away from the Carrier Dome. Their best win of the two was at Clemson. If the Orange are left out, they will have no one to blame but themselves. The Yellow Jackets came into the tournament on the bubble on the strength of wins over North Carolina, Florida State and Notre Dame at home, and VCU on the road. On the down side, they already had 14 losses, two of which were to sub-100 teams (Ohio and N.C. State). Not only did the Yellow Jackets need to beat Pitt on Tuesday, they likely had to move on from that one and upset Virginia on Wednesday to have a realistic chance for an at-large bid. That they came up two steps short should remove any doubt about where they’ll stand on Selection Sunday. There were some legitimate highs in Georgia Tech’s season, but it will not end with a trip to the NCAA tournament. It would be a stretch to say that VCU’s at-large candidacy is in jeopardy, but the Rams do not have much room for error. After losing to Rhode Island and Dayton over the last two weeks, they are 2–3 against the RPI top 50 and kenpom.com top 50. That would be fine if VCU’s résumé was devoid of bad losses, but the Rams dropped games to a bad Davidson team and terrible Fordham team. We still have the Rams in the field, but there is absolutely no margin for error the rest of the way. No matter what they do the rest of the season, short of getting the conference’s automatic bid, Selection Sunday is going to be tense. 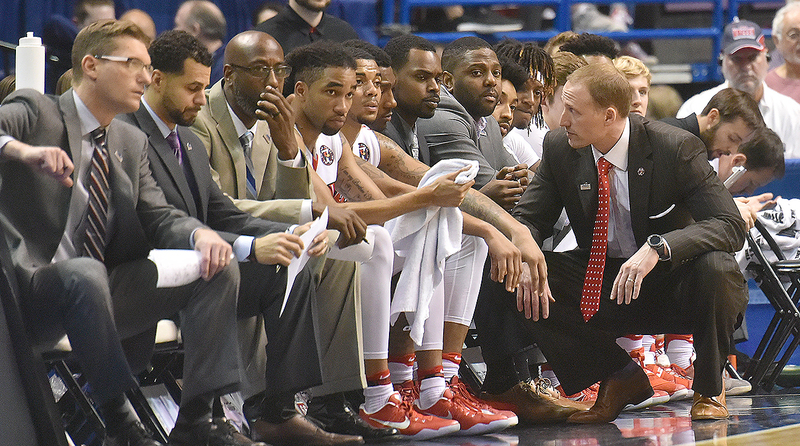 A bad loss in the A-10 tourney will have them in trouble on Selection Sunday. They aren’t the only Rams in striking distance for an at-large bid. 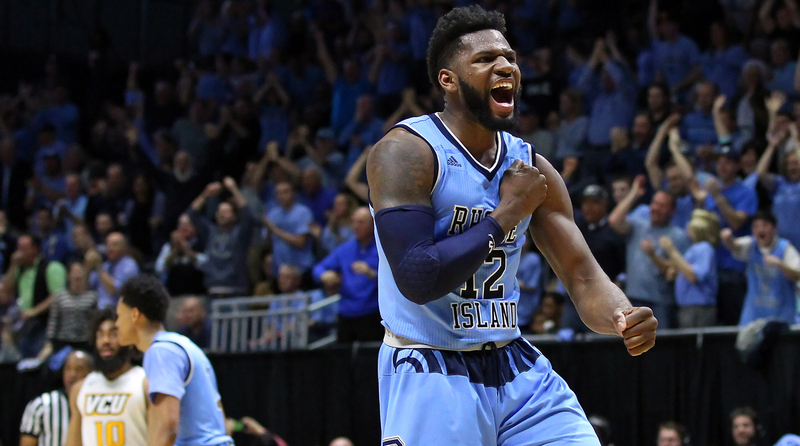 Rhode Island got the win it needed to stay in the at-large discussion when it took down VCU a couple weekends ago. They played with fire, however, last weekend, beating Davidson in overtime at home. These Rams are now 2–3 against the RPI top 50, with a neutral-floor win over Cincinnati added to the VCU triumph. They, too, are working against a couple of bad losses, which came against LaSalle and Fordham, and their 5–7 record against the top 100 leaves little wiggle room. They’ll have to advance to the A-10 championship game to have a real shot at an at-large bid. Kansas State is the only Big 12 team remaining on the bubble, and it has some serious work to do in the Big 12 tournament. The Wildcats still have a strong foundation thanks to wins over West Virginia at home and Baylor on the road, and they took care of business against TCU and Texas Tech last week, ending both of those teams’ at-large hopes. Still, they need at least one meaningful win in the Big 12 tournament to feel good on Selection Sunday. They’ll get their opportunity for that win against Baylor in the Big 12 quarters. Seton Hall played its way safely into the field, for the time being, with a win at Butler on Saturday. The Pirates have four standout wins against teams that are all inside the top 40 in both RPI and on kenpom.com (Butler, South Carolina, Creighton, Xavier), and are 9-9 against the RPI top 100. They have one sub-100 loss to St. John’s, and sit at 43rd in the RPI and 54th on kenpom.com. That adds up to the profile of a traditional bubble team, but the win at Butler is the sort of silver-bullet victory that should have the Pirates safe next week. Six weeks ago, Providence was left for dead. The Friars have won six straight games since then, four of which padded their resume. It’d be one thing if the Friars were picking off DePaul and St. John’s, which they did last week. That they took down Butler, Xavier, Creighton and Marquette in succession as the Friars safely in our field. The Friars won’t have any guarantees on Selection Sunday without a win or two in the Big East tournament, but they have the look of an at-large team. Xavier tempted fate through the first half of its first-round game with DePaul on Wednesday, but the Musketeers came out firing in the second half, led by Trevon Bluiett and J.P. Macura. Once they took control, they never looked back. The Musketeers avoided a bad loss that could have knocked them out of the field of 68, but they’re still on shaky ground heading into Thursday’s quarterfinal matchup with Butler. They lost six straight games at the end of the regular season, and haven’t beat a team not named DePaul since the day before the Super Bowl. They have three top-50 wins, including one at Creighton, an 8-11 record against the top 100, and just one loss to a team outside the top 70 in RPI. The committee will take note that they’re 5-6 since losing Edmond Sumner for the season, but it will also consider that three of those losses came with Bluiett nursing an ankle injury. A win over Butler would lock Xavier into an at-large bid. A loss would make it a nervous bunch on Selection Sunday. This year’s Pac-12 is one of the weirdest conferences in recent memory. At the top we have Arizona, Oregon and UCLA, all of which are legitimate Final Four contenders. With all three guaranteed to be in different regions, it wouldn’t be a shock, however unlikely, for the conference to send three teams to Phoenix. They could just as conceivably be the only three Pac-12 teams in the NCAA tournament. USC is the Pac 12’s best chance to get a fourth team in the dance. The Trojans played a surprisingly close game with a Washington team missing Markelle Fultz, but held on to advance to the Pac-12 quarterfinals. Despite a lackluster résumé, dodging what would have been a terrible loss should be enough to keep the Trojans in the field of 68. 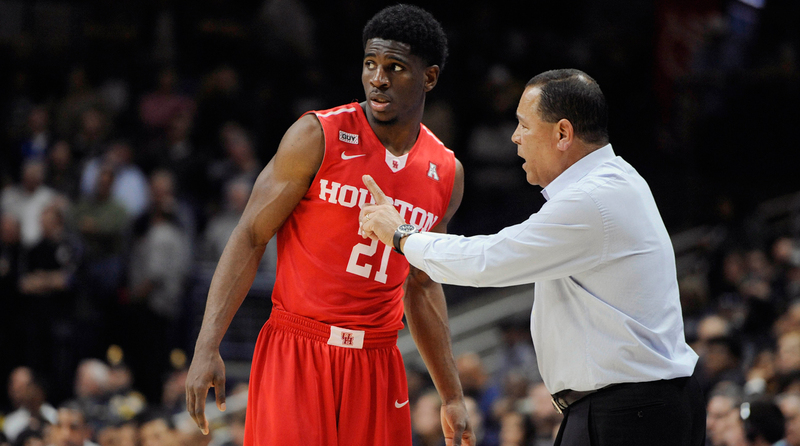 They have two great wins over UCLA and SMU, and just one loss outside the RPI top 100. 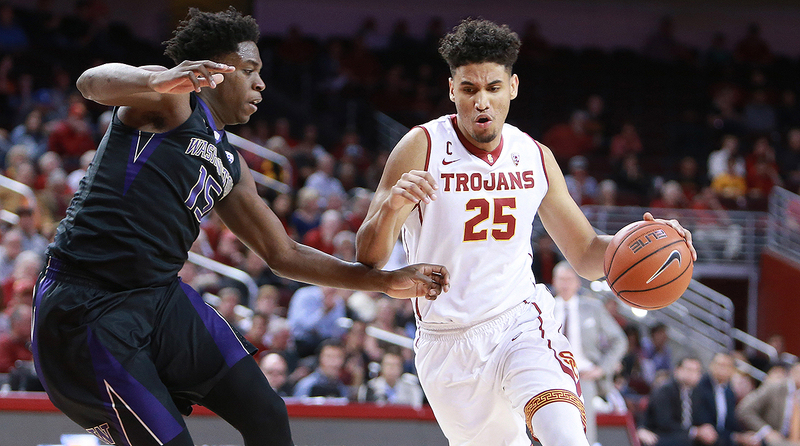 A second win over the Bruins on Thursday will have the Trojans breathing easy on Selection Sunday, but it likely isn’t necessary to get them into the dance for the second straight season. Cal kept its fledgling at-large hopes alive, but it played with fire in its first round game with Oregon State, winning 67-62. The Golden Bears have a ton of work to do, and an at-large bid may be out of the question. They own exactly one top-50 win, and that came against USC. That’s their only victory against a team that could get an at-large bid, with their next best win over Princeton on a neutral floor. They’re 4-9 against the top 100, and 4-11 in kenpom.com A- and B-tier games. They cannot build their resume when they take on Utah in the Pac-12 quarterfinals on Thursday. If they move on from that game they will likely play Oregon, but even a win there won’t guarantee them a thing. One more win, of course, and they will have made a semi-miraculous run to the conference’s automatic bid. In short, Cal has no hope for an at-large bid unless it beats Utah and Oregon over the next two days, and even that might not be enough. If you’re a bubble watcher, then you have to be thrilled with Vanderbilt’s win over Florida on Saturday. No matter what happens next week, we are going to get to test history. If Vanderbilt is part of the at-large discussion on Selection Sunday, that necessarily means they will have suffered their 15th loss of the season at some point during the SEC tournament. The most losses for an at-large team in NCAA history is 14, which has happened 14 times. For the sake of conversation, let’s assume that Vanderbilt’s 15th loss isn’t a bad one and comes against one of South Carolina, Florida or Kentucky. In that scenario it will be the most interesting team before the committee this week. It will have at least five top-50 wins, with all of those coming against at-large teams. Vanderbilt has what it takes to be the first 15-loss at-large team in NCAA history. Mississippi is largely in the discussion thanks to a favorable schedule that only included one matchup apiece with Kentucky and Florida, helping the Rebels to a 19–12 overall, and 10–8 in conference. With that said, the Rebels deserve credit for a win over South Carolina on Saturday. That has them in the at-large discussion heading into the SEC tournament. If they can add a win over one of the conference’s tourney-bound teams, they’ll have reason for hope on Selection Sunday. Alabama has been on the fringes of the at-large picture most of the season, but Saturday’s loss to Tennessee likely took them out of the discussion. The Crimson Tide are now 5–12 against the RPI top 100, with their best wins over South Carolina and Vanderbilt. They can see the tournament field from where they sit, but there’s no realistic path to an at-large bid. Georgia came up agonizingly short time and again when it faced Kentucky, Florida and South Carolina this season. While the Bulldogs proved they could hang with the conference’s best, all that matters is they never got over the hump. An 18-point loss at Arkansas on Saturday drove that home even further, and one top-50 win isn’t going to get them into the dance. The Bulldogs must win the SEC tournament to get into the field. The only fitting end to the Missouri Valley Conference season was a rubber match between Illinois State and Wichita State for the conference tournament title and automatic bid. The Shockers took that rubber match in relatively easy fashion, winning the conference tournament, and thus its automatic bid, by a 71–51 score. The only question now is will Illinois State get an at-large bid? The bet here is the Redbirds will be left out. They dropped games to San Francisco, Tulsa and Murray State, all three of which are comfortably off the at-large radar, and their only win over a tournament team came when they beat Wichita State at home. After that, their next best win was at Loyola-Chicago, kenpom.com’s 97th-ranked team. The Redbirds had a great season, and deserve a ton of credit for beating almost everyone their schedule placed in front of them this season. Their tournament résumé, however, is lacking. Middle Tennessee State sits at 37th in the RPI and 52nd on kenpom.com. The Blue Raiders are heavy favorites to win the Conference USA tournament, but if they lose they’ll have to hope their metrics, wins over Vanderbilt, Mississippi, Belmont and UNC-Wilmington, and a soft bubble will carry them to an at-large bid. It is instructive to remember the case of 2015–16 Monmouth, which had better non-conference wins than this year’s Middle Tennessee State, and was shut out after losing in the MAAC tournament.